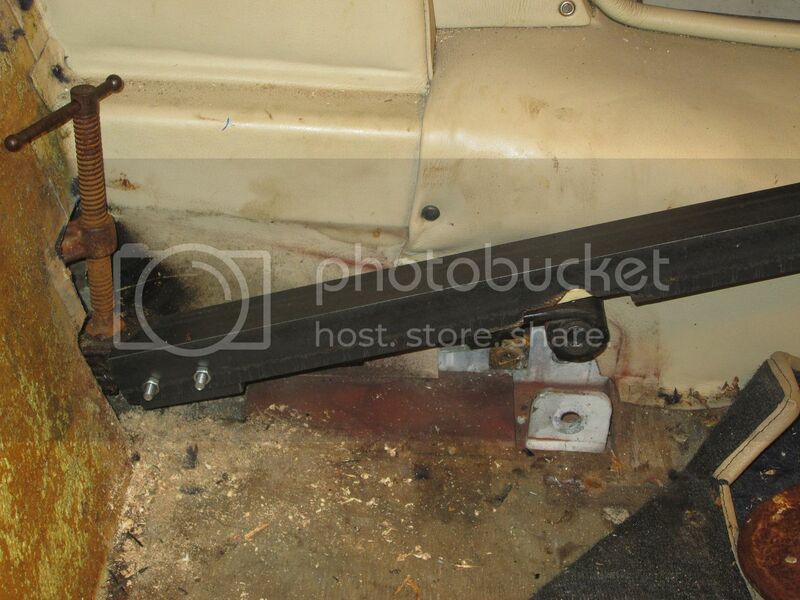 NEW - Including photo's Installing Anti-tramp, Panhard rod and AVO shocks to a 4/4 Four seater. The installation on a four seater is a little more complicated than the two seater so i thought I would post this thread on installing Anti-tramp bars & Panhard rod to a 4 seater. The kits, including AVO shocks were purchased from Tim at New Elms as a winter project, reading through the excellent Mulberry fitting instructions everything seemed straightforward. The four seater is a little more complicated than the two seater so the following is I hope a handy guide. Removing the back seats is essential, not only for replacing the Shocks, but also for installing the battery box support as discribed below. 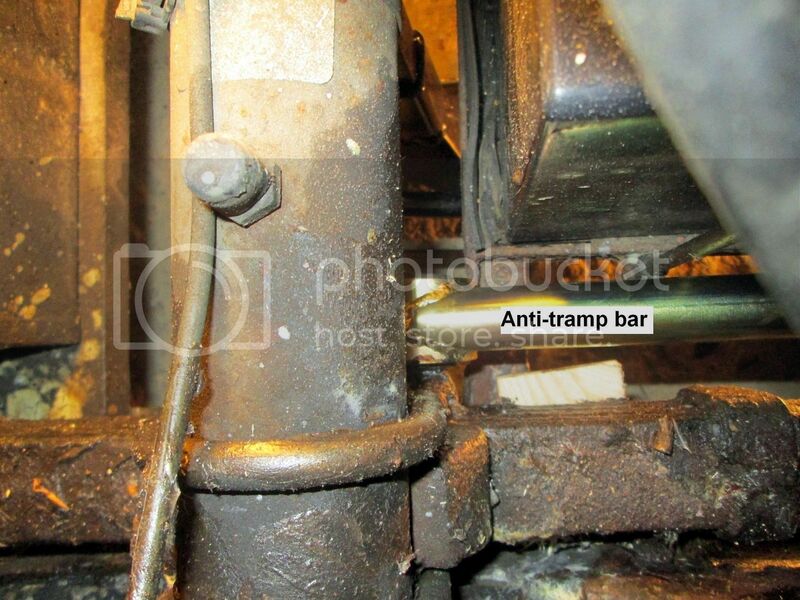 A word of caution on removing the leaf-spring front fixing bolts - after jacking up the car and placing the G-Clamps on the leaf springs, be extra careful when removing the bolt, the latent energy in the clamped spring is considerable. Enough to sheer the G-Clamp with the possibility of broken bones. Re-installing the leaf-spring (6 springs on a 4 seater) fixing bolt with the anti-tramp front shackle and spacer needed some extra leverage (downward pressure) I fabricated a steel �L� bar with a bracket at one end to slide under the leaf spring which gave me the leverage and control needed to centre the forward shackle bolts, see below. The only other deviation to the instructions was to cut out the section of the back foot well ply below the anti-tramp bar. New larger leaf spring front fixing covers will have to be fabricated to cover this area. The AVO's are straight forward: See DaveW post. Photo's of fixing covers to be added to this post on fabrication. 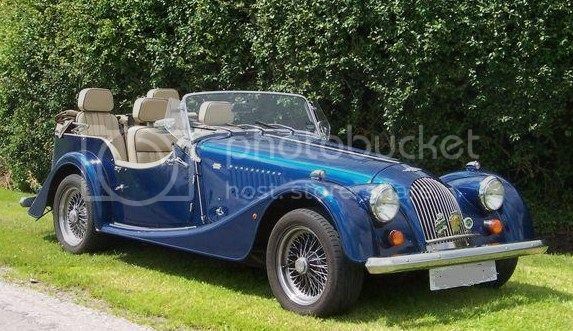 David, 2001 4/4 4 seater, Avus Blue. I also find this interesting. Will you also post picture of the panhard rod installation? Have you test driven it yet? 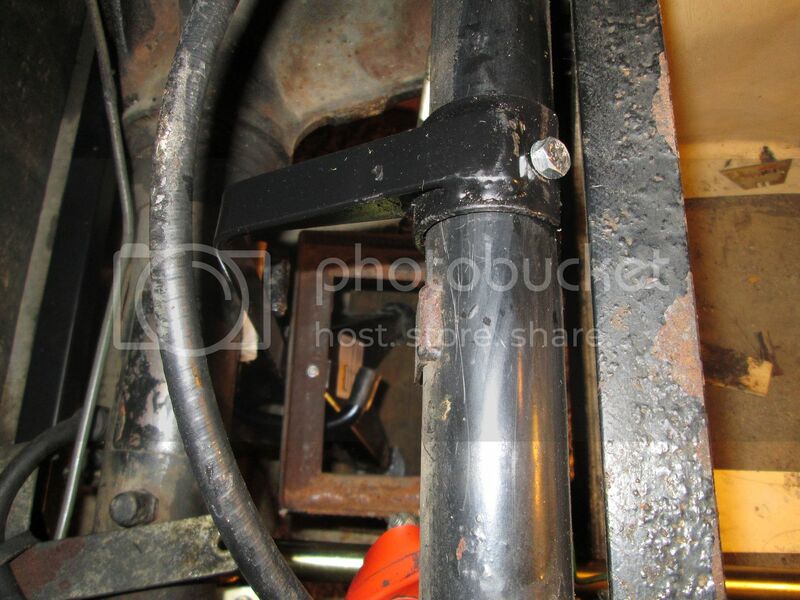 http://www.mulfab.co.uk/our-products/14/steering-suspension/panhard-rods shows photos and http://www.mulfab.co.uk/fitting-instructions instructions. or make your own for a fraction of the cost IF you have the skills of course. Cheers PJB. Place them on a photo hosting web site and add a link from the text in your post. OR To add photos, reply with the 'Reply' button, not 'Quick Reply' then click on 'File Manager' to browse your photos on your PC then 'Add' it then they are inserted in your text. OK cheers PJB. GKA, sorry no photo's of the Panhard fitting. As PJB said, the Mulfab web page has the installation docs. The Panhard is quite simple to install, as long as you can jack the rear end up safely and high enough (to get the drill in place for the cross bar mounting bolts) I posted the topic because the Mulfab Anti-tramp instructions are for a 2 seater, the differences; the extra force on the 6 leaf springs, the battery mounting, and the extra width needed for the passenger well leaf spring covers. Took Georgie up to Castle Combe for the weekend, everything seems firm and a little more positive on exceleration, no more thumps when excelerating hard from a stand still. The AVO's are I think a very positive improvement, have not changed the setting from the 4 clicks yet but will experiment.